Last weekend was Anime Expo in Los Angeles and, as has occurred at past conventions, Viz had a Moon Panel on Sailor Moon Day. One thing which was announced at this panel was the cast for the upcoming English versions of Sailor Moon S The Movie, Sailor Moon SuperS The Movie and the Ami’s First Love special which plays with Sailor Moon SuperS. The films will be showing in theatres in late July and early August. The cast is a mix of new voice actors, a few who are returning after minor roles and some main cast members doing minor roles in the films. First up is the cast of the Sailor Moon S Movie which has Kakeru, the man who Luna falls in love with, Himeko, an astronaut and part of Kakeru’s love triangle, and Princess Snow Kaguya, the villain of the film. 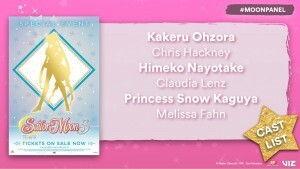 Himeko is voiced by Claudia Lenz, who also goes by the name of Eden Riegel, who previously voiced Koan in Viz’s new dub of Sailor Moon R and Sailor Moon Crystal. For the long titled Sailor Moon SuperS: The Nine Sailor Guardians Unite! Miracle of the Black Dream Hole we have a cast which includes Poupelin, Banae and Oranja, the three villain henchmen, Perle, the reformed villain and love interest for Chibiusa, the Bonbon Babies, giant candy looking monsters, and Badiane, the main villain seeking to imprison the Earth’s children into an energy dreaming eternal slumber not unlike The Matrix. We have a few returning cast members here! 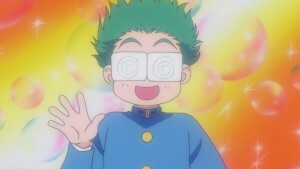 Banane is voiced by Ben Diskin who is Umino in the series and the Ami’s First Love special as well as Fiore from Sailor Moon R The Movie. Oranja is voiced by Robbie Daymond who plays Tuxedo Mask in the series and all of these movies. 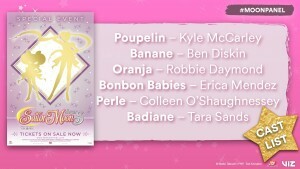 The Bonbon Babies are voiced by Erica Mendez who Sailor Uranus in the series and films and also voiced Reika. Badiane is voiced by Tara Sands who has played a number of single episode roles in Sailor Moon and was also Bulbasaur in Pokémon. 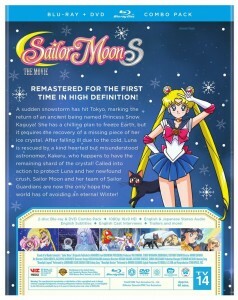 Finally we have the Ami’s First Love short which plays with the Sailor Moon SuperS film. The only new voices here are Bunnun, the voice of the monster, and Mercurius, Ami’s rival. 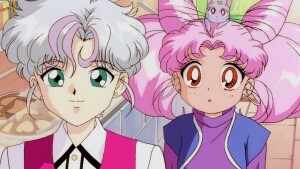 Both of these actors were also in Sailor Moon SuperS. The voice of Bonnun, Colleen O’Shaughnessey, is also Perle in the SuperS film. The voice of Mercurius, Kyle McCarley, was also Poupelin in the SuperS film. For show times and a list of participating theatres be sure to check out the Fathom Events web site. 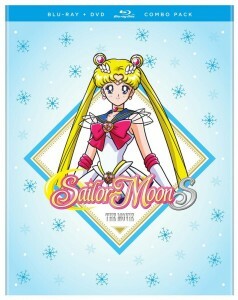 The Sailor Moon S movie will be shown with the R movie dubbed on July 28th and subbed on July 30th. The Sailor Moon SuperS movie will be shown with the Ami’s First Love special dubbed on August 4th and subbed on August 6th. Though the Fathom Events site only lists US theatres Canadians will also have a chance to see these films on those same dates at select Cineplex theatres. Though show times and theatres are not yet listed on their site keep and eye out on their listings for dubbed and subbed showings of Sailor Moon R and S as well as dubbed and subbed showings of Sailor Moon SuperS and Ami’s First Love. Are any of you going to be able to see these films in your cities? It was a real treat to see Sailor Moon R in theatres a couple of years ago and I hope to be able to get out to see the other films as well!